arena4finance is proud to partner with The University Caterers Organisation (TUCO), to offer this one day skills development event to all those involved with the management of food and beverage operations, from head chefs to food and beverage controllers. ‘Cost Control for F&B Operations’ has the purpose of assisting all those involved with catering operations in the effective management and control of food costs, which will have a direct impact on profitability. The course is designed to help delegates understand pricing methods and the control of gross profit, as well as assisting them with the effective execution of daily financial tasks such as ordering, purchasing and gross profit calculation. Since staffing costs tend to be a significant expense alongside food costs in food and beverage establishments, the course will also cover wage and salary controls. 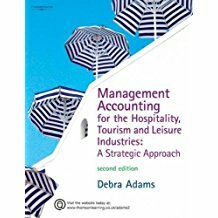 Cost Control for F&B Operations’ has been written by Debra Adams, author of the textbook 'Management Accounting for the Hospitality Industry' and is delivered over the course of one day by an experienced facilitator from arena4finance. The day is complete with course notes and refreshments. Taking a practical approach, the course is highly interactive and consists of a series of worked examples, case studies and discussions. This course is ideal for all those wishing to update their knowledge of food and beverage cost control.